Luke had his seventh birthday party at our Tae Kwon Do school. Tiger Kim's Reynolda did an amazing job! They started out with a poomse and breaking demonstration by the demonstration team, which was exciting for all of the kids (and parents!). All of the kids had a blast and Luke said that it was his best birthday party ever. 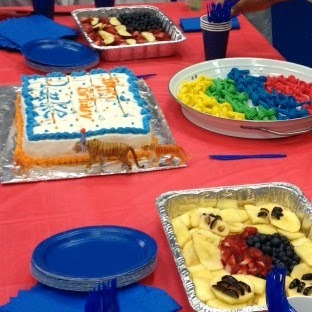 The school took care of the party for the most part, but we still wanted to add a few fun touches of our own. 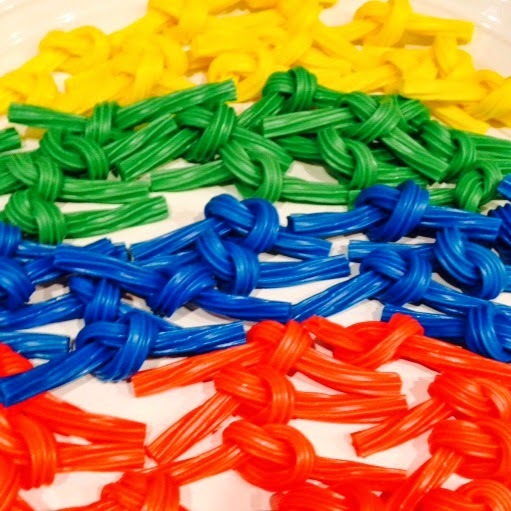 One fun idea was colored belts made out of Twizzlers candy. We simply knotted the whole Twizzlers from the rainbow pack. At the start of every class we bow to the flags (Korean and United States). 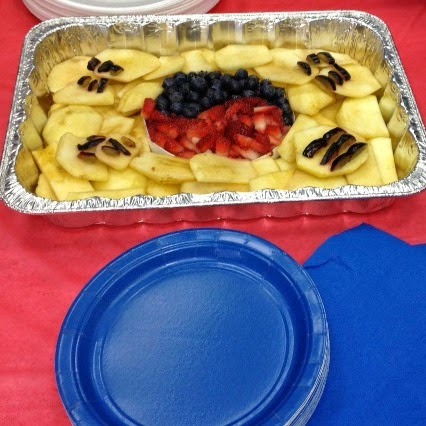 To symbolize that we made fruit plates for each flag. The fruit was a great addition to the cake and other sweets. We used apple slices, blueberries, strawberries, and grapes. Luke is really into making the favors from his party really special. I found it a little hard to think what might be a good favor for this party and didn't see much online. What we came up with ended up being really cute and Luke couldn't wait to explain the meaning to anyone who would listen! We bought all of the favor materials on Amazon. For your convenience I have links listed below. 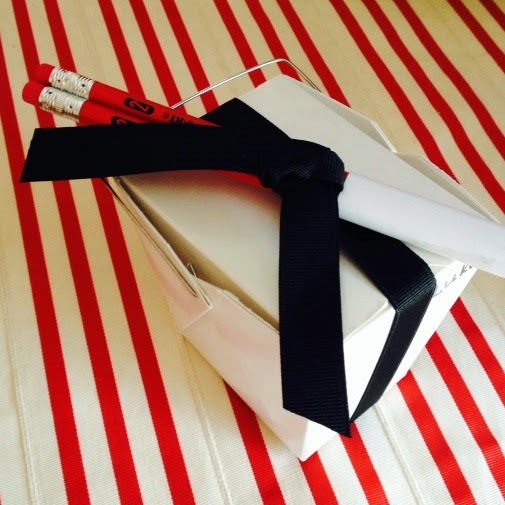 We tied a black ribbon to symbolize a black belt around the take out containers. 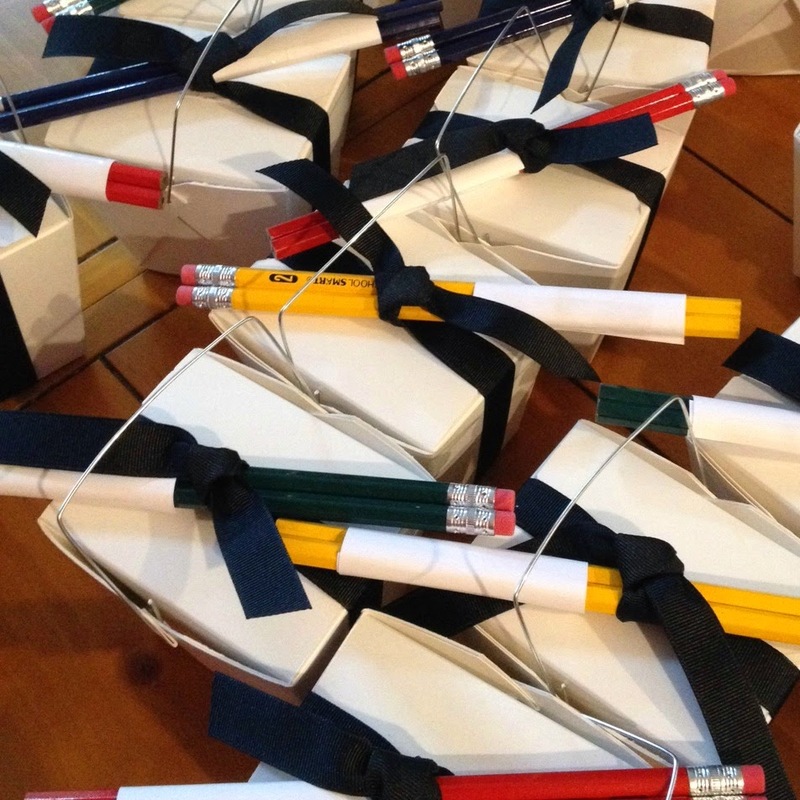 We have lots of martial arts party inspiration on our Pinterest board. Follow us for delightful ideas! 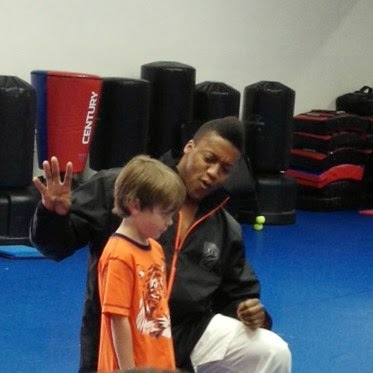 Follow Sassafras Paper's board tae kwon do or martial arts party on Pinterest.